Ethernet cables like Cat5e, Cat6 and Cat 6a are widely used to connect devices on local area networks such as computers, routers and switches. In most successful connections with Ethernet cables, keystone jacks that connect a device to a network port play an important role. But nowadays a new type of keystone jack is also very prevalent. That’s toolless keystone jack. This article intends to introduce the basics and benefits of toolless keystone jack. People who have electrical cable installation experience know clearly what is a keystone jack. A keystone jack is a female connector for mounting a variety of low-voltage electrical jacks or optical connectors into a keystone wall plate, face plate, surface-mount box or a patch panel. Keystone plug is a matching male connector, usually attached to the end of a cable or cord. Traditional keystone jack needs a punch down tool to help finish cable installation, but this toolless keystone jack is different. With the snap-fit cap design, conductors can be terminated simultaneously when the cap is pressed into place, allowing for a simple installation without the need for a punch down tool. The most commonly used one is RJ45 (8P8C) toolless keystone jack. There are shielded and unshielded toolless keystone jacks in the market. The difference between them is whether there is a shielded STP cover outside that is designed for protection from external radiated noise. Choosing a suitable keystone jack should be based on the cables you’re connecting to. In a word, toolless keystone jacks are an ideal solution for terminating and connecting network cables. Compared to common keystone jacks, toolless keystone jacks have more benefits. Easy termination. As have mentioned above, there is no need to use punch down tools in the termination process. Except that, simply insert the wires according to the color coding and press down the cap. Termination will be done. Besides, all eight wires can be terminated at a time when the cap enclosed. Easy Installation. Flexible mounting tab allows installation from front or rear of face plate and secures module into the face plate. Besides, 568A and 568B color wiring diagram is integrated on the outside for quick identification and easy installation. Save cost. If you do not want to invest a punch down tool for only a time installation, this keystone jack would be a perfect choice. Convenient to verify proper wiring (only for the unshielded keystone jacks). The snap-fit cap has a large window for viewing terminations. Once the termination is done, you can check whether there is an error occurring to make sure a successful connection. Using tools to terminate cables is time-consuming, especially under some conditions where time is the paramount factor to be considered. Of course, toolless keystone jacks do not suitable for all cases. It should depend on the practical situation. Here is a simple installation instruction for toolless keystone jack termination. Step one. Trim the end of the Cat6 cable with a crimping tool. Strip off the jacket to expose approximately one inch of wires. This step is similar to the termination process with RJ45 connectors. Step two. Untwist wires and flatten them as much as possible to make preparation for the next step. Step three. Just open the top cap, place the wires on the jack according to the color coding on the outside. Step four. Close the top cap to snap firmly on the plug. In order to ensure a good termination, you can just insert two pairs wires at a time, then repeat the same operation until all wires are placed well. Step five. Carefully cut off the wire ends using crimping tool. And check the keystone jack to make sure the wires are terminated well. 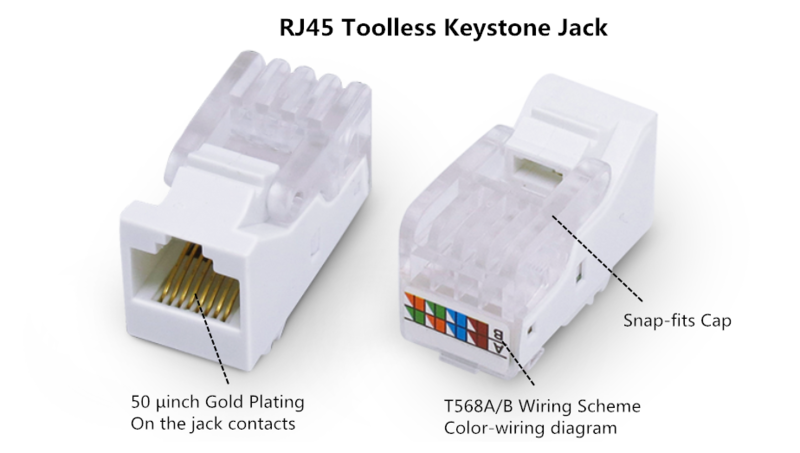 Toolless keystone jack provides a simple way to terminate and install Ethernet cables. With its special design, time and money can be saved. They are quite versatile and can be mounted easily into a wall plate, which makes them one of the most common and useful components of data centers and networking. This entry was posted in Copper Network and tagged Ethernet cables, RJ45 keystone jack, toolless keystone jack on December 30, 2016 by Chloe Wang. For the purpose of providing a reliable connection between electronic devices, choosing a proper shielded twisted pair cable is essential to the network using copper cables. EMI (electromagnetic interference) is a disturbance in twisted pair cables. It affects the performance of an electrical circuit by electromagnetic induction, electrostatic coupling, or conduction. But with the help of cable shielding, cables can be immune to the disturbance and keep a stable connection. 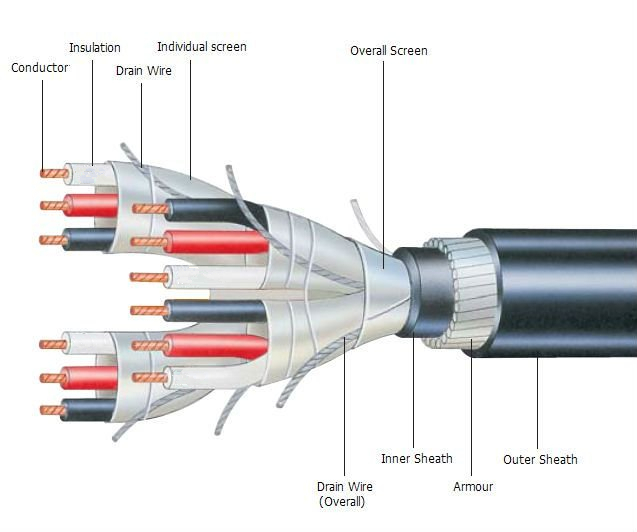 And this article will present some knowledge about cable shielding. Hope you can find it useful. Before getting to know cable shielding, you may wonder about the real difference between shielded twisted pair (STP) and unshielded twisted pair (UTP). As their names suggest, STP has a shield that works as a guard and drains the induced current surges to earth. Yet UTP has no cable shield with such a function. But the shortcoming of STP cables is the extra shielding cost added to an installation. Typically, STP cables are more expensive than UTP cables. And due to the stiffer and heavier shielding, coping with STP cables is more difficult. But if you pursue a higher performance, STP will be a preferable choice. There are mainly two types of shields: braided shield and foiled shield. Braided shield is made up of woven mesh of bare or tinned copper wires. It has better conductivity than aluminum and more bulk for conducting noise. An easier attachment with connectors can be achieved by crimping and soldering the braid. However, braided shield does not possess 100% coverage. It usually provides 70% to 95% coverage according to the tightness of weave. But as a matter of fact, 70% coverage is always sufficient if cables are fixed. Another shielding is foiled shield. This type of shielding uses a thin layer of aluminum and has a 100% coverage around the conductors. But the drawback is that its conductivity is lower than copper braided shield. Today, people will use acronyms to name different shielding constructions. Take U/FTP as an example, the first letter “U” represents the outer shield or overall shield of cable, and the followed letter “F” represents the individual shield under the overall shield of each twisted pair or quad. As for the application in 10GBASE-T Ethernet, UTP, U/FTP, F/UTP, F/FTP and S/FTP are often used. But their practicable cable categories are varied from cat 6/6a to cat 7/7a. When twisted pair cable is deployed for 40GBASE-T Ethernet, U/FTP, F/UTP, F/FTP, S/FTP are applied under cat 8/8.1/8.2. Adopting shielded twisted pair cable is an effective method to prevent EMI from interfering signal transmission. And there are different shielding constructions for you to choose. Of course, using twisted pair without cable shielding is also feasible if your budget is limited. Wish you find the most suitable shielded twisted pair cable for your project! This entry was posted in Copper Network and tagged cable shielding, FTP, STP, Twisted Pair Cable, UTP on June 23, 2016 by Admin. A heated debate over whether fiber will take place of copper in the near future has caught people’s attention lately. Five to seven years ago, fiber was considerably more expensive than copper and, as such, was used sparingly. As fiber price has dropped dramatically and our bandwidth needs have grown, data centers have started to use more fibers all the way to their infrastructure. Under this circumstance, people wonder that copper cabling may soon be out of the stage of telecom industry. But the truth is that there is a still a place for copper cabling in the data center, even in 40G data center. The biggest market for 40G Ethernet (40GbE) is in data center for interconnection links with servers and storage area networks. There are lots of 40GbE devices that can be used in 40G data centers. 40G direct attach copper cable (DAC), especially passive copper cables (PCC) is one of those devices that can support 40GbE networking. PCC is the preferred alternative for short-reaches in the data center and as such, that won’t necessarily change as speeds increase. Copper cable assemblies are significantly more affordable than fiber, and many twinaxial cables available on the market today can support 40G for reaches of seven meters or less. QSFP+ (Quad Small Form-factor Pluggable Plus) copper cable assemblies were developed for high-density applications, offering a cost-effective, and low-power option for high speed data center interconnects up to 10 meters. 40GbE passive copper cables provide robust connections for leading edge 40G systems and have extremely low power consumption which improves data center power consumption and thermal efficiency which are ideal for 40G LAN, HPC and SAN applications. QSFP+ to QSFP+ passive copper cable and QSFP+ to 4SFP+ passive breakout copper cable are the two common types of QSFP+ cables that will be introduced in the following picture. Let’s take QSFP-H40G-CU1M as an example, it is compatible Cisco QSFP+ to QSFP+ passive copper cable that is suitable for very short distances of 1m and offer a very cost-effective way to establish a 40-gigabit link between QSFP ports of Cisco switches. One important thing to note is why the feasibility of using twisted-pair-copper cabling (with RJ-45 connectors) to support 40G Ethernet is so critical to the overall market. RJ-45 connector is with no double one of the most common connector types used in data networks. As the market continues to grow from 1G to 10G, the backward compatibility of this technology will continue to be of extreme importance as work continues towards 40G. This will allow data center operators to evolve their networks based on changing requirements and do so with the least amount of disruption and cost to their networks. 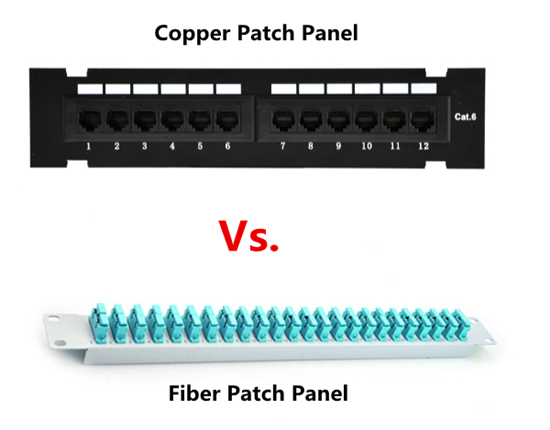 In addition, twisted-pair-copper cabling has proven to be an extremely cost-effective solution and designers, installers, and customers have a lot of experience and confidence in copper-based networks. While the eventual deployment of 40G-based copper solutions is still a few years out, this technology will allow organizations to think about how they are deploying copper based solutions today with an eye to the future. Doing so correctly will help ensure infrastructure costs are well managed from both a product and support standpoint. The problem of standard twinaxial cables is not their performance as much as their tendency to be stiff and bulky, thus consuming precious rack space and blocking critical airflow. The current copper solution for 40G Ethernet limits the architectures one can deploy. 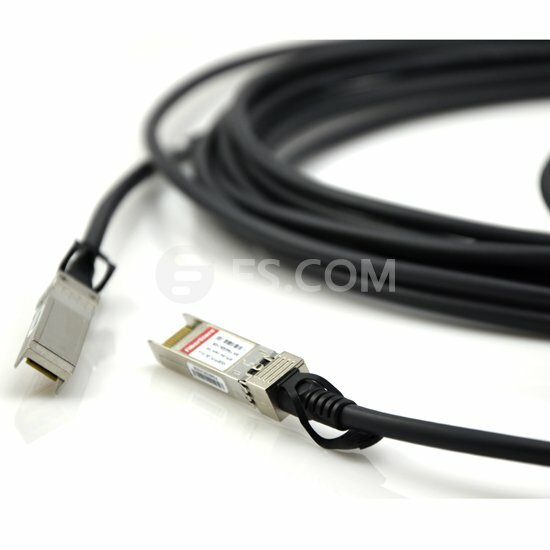 40G Ethernet QSFP+ DAC cable assemblies have a reach of 5 to 7 meters. Thus QSFP+ DAC cable (or QSFP+ breakout cable) assemblies cannot be used for most end-of-row (EoR) implementations or other architectures. What’s worse, DAC cable assemblies are a point-to-point solution and therefore cannot support a structured cabling design. Designers must be careful not to bend the cables too much because the cable’s shielding and overwrap materials can distort the precise cable geometry needed to maintain impedance control, which can degrade signal performance. Moreover, the wrapped shield, with repeated breaks in the shield along the cable length, can produce an unwanted resonance effect, evident at certain frequencies. Will copper be completely replaced by fiber in 40G data center? The answer is yes or no, we have no clue. But one thing is for sure that copper cabling continues to strive to achieve the quality and speeds that fiber can handily provides, while fiber will develop itself to be more competitive among designers. It is the good news for subscribers. Fiberstore is committed to provide first-class services and high quality products for users. If you have any question about today’s topic, please leave your messages to us. This entry was posted in Copper Network and tagged 40g data center, 40G direct attach copper cable, QSFP+ DAC cable, QSFP+ to 4SFP+ passive breakout copper cable, QSFP+ to QSFP+ passive copper cable on January 13, 2016 by Angelina.Li. Over the years, there has been a growing popularity of Ethernet networks, resulting in the increasing use of Ethernet switches in the network infrastructure. But there is problem that the majority of Ethernet switches on the market today are available only with either 10Base-T or 100Base-TX interfaces (i.e., RJ-45). And on the other hand, in order to meet the needs of longer distance transmission and immunity to electrical interference or eavesdropping/interception, fiber cable has been used on a large scale. Since the entire network is not all twisted pair, the problem of how to interconnect disparate cabling types to the switch must be solved. As a result, media converter, a device which can convert RJ-45 to one of the fiber types in use, has been designed. Media converter is a simple networking device that enables you to interconnect networks or network devices with different speeds, operation types, modes and media types. And the most common type usually works as a transceiver, converting the electrical signals in copper unshielded twisted pair (UTP) network cabling to light waves used for fiber optic cabling. It is essential to have the fiber optic connectivity if the distance between two network devices is greater than the copper cabling’s transmission distance. 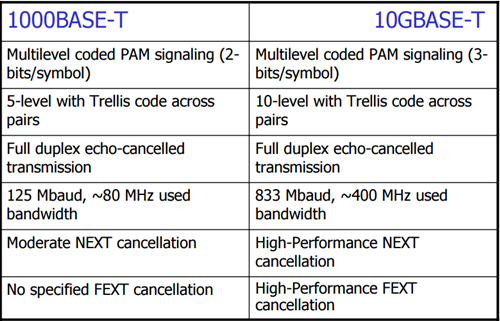 Since media converters are IEEE compliant devices, they implement IEEE data encoding rules and Link Integrity Test. Generally, there are two types of media converter. One type is copper to fiber media converter, another is fiber to fiber media converter. And the illustration of each type will be given as follows. Copper to fiber media converter – It is a compact device that provides seamless integration of copper and fiber cabling in Enterprise, Government and Service Provider networks. Also, it can be divided into two types, too. They are Ethernet copper to fiber media converter and TDM copper to fiber media converter. Ethernet copper-to-fiber media converter provides connectivity for Ethernet, Fast Ethernet, Gigabit and 10 Gigabit Ethernet devices. Some of it support 10/100 or 10/100/1000 rate switching, enabling the integration of equipment of different data rates and interface types into one seamless network. As to TDM copper to fiber media converter, the common used types are T1/E1 and T3/E3 converters, providing a reliable and cost-effective method to extend traditional TDM (Time Division Multiplexing) telecom protocols copper connections using fiber optic cabling. 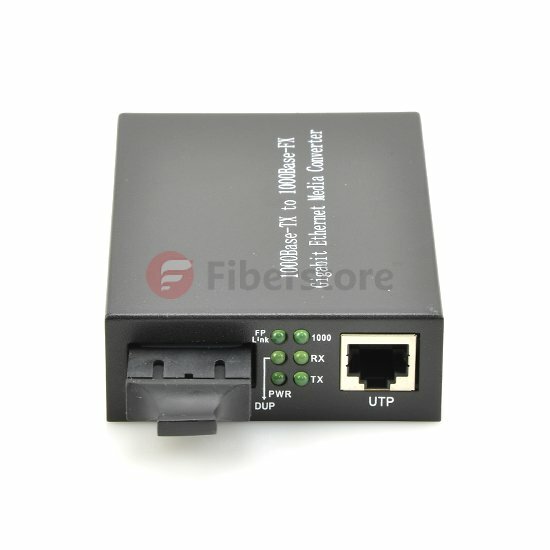 Fiber to fiber media converter – This media converter type can provide connectivity between multimode and single-mode fiber, or between dual fiber and single-fiber. What is more, it can support conversion from one wavelength to another. Fiber to fiber media converter is normally protocol independent and available for Ethernet, and TDM applications. Cost Reduction – Compared with the hybrid media switches, the cost of media converters with cost-effective Ethernet switches is much lower. What is more, the two devices can do the same job. This type of media converter solution can cost significantly less than that relies on higher-layer devices such as routers or switches. Flexibility and Simplification – It is of much flexibility for media converter to combine copper with 850 nm and 1300 nm multimode fiber and 1310 nm and 1550 nm single-mode fiber. In addition, With protocol transparency, it can be applied in anywhere in the local network or remote network whether it’s a LAN or the WAN environment. Ease of Use and High Availability – Configuring and installing redundant solution of media converter is much easier to handle and to manage than higher-layer devices. And it will makes the troubleshooting easier if you add management functions to the media converter. Since media converter has so many advantages, it can support advanced bridge features – including VLAN, Quality of Service prioritization, Port Access Control and Bandwidth Control – that facilitate the deployment of new data, voice and video to end users. In a word, media converter does more than convert copper-to-fiber and convert between different fiber types. It can also provide all these sophisticated switch capabilities in a small, cost-effective device. This entry was posted in Ethernet Media Converter and tagged Ethernet Media Converter, Fiber Media Converter on September 28, 2015 by Admin. In recent years, as the demand for fast-speed and mass media is increasing, optical fiber cable shows an absolute advantage over copper cable. After fiber-to-the-home solved the “last mile problem”, there even emerged a sentence “optic fiber in, and copper wire out” on the Internet. However, is copper cable really useless? The answer is definitely No! Indeed, twisted pair copper cable has many advantages over optical fiber in the application of building wiring. The most commonly used copper network cable in the horizontal wiring between buildings is twisted pair copper cable. Therefore, in this text, I will illustrate why twisted pair copper cable is a preferred cable in building wiring. What is Twisted Pair Copper Cable? A twisted pair cable is a pair of copper wires, with diameters of 0.4 -0.8mm , twisted together and wrapped with a plastic coating. The twisting increases the electrical noise immunity, and reduces the Bit Error Rate (BER) of the data transmission. Classified by the inner structure of twisted pair copper cable, it can be divided into Unshielded Twisted Pair (UTP) and Shielded Twisted Pair (STP). UTP is just two insulated pair twisted together. The EIA/TIA (Electronic Industry Association/Telecommunication Industry Association) has established standards of UTP and rated 6 categories of wire. STP is heavier and more difficult to manufacture, but it can greatly improve the signaling rate in a given transmission scheme. STP is commonly used by large scale companies in high-end applications that require the maximum bandwidth. The UTP and STP are showed in the picture below. For most common uses, it does not really matter whether you use STP or UTP as both would probably perform well. UTP is the more logical choice for the majority of enterprises in LAN as it is cheaper and much easier to find. In the building wiring project, as the physical space of wiring is relevantly spacious, there is no need to worry too much about the wiring density. Therefore, though the diameter of copper wire is larger than optical fiber, there has enough space for the copper wire. And because of the large space, the problem of heat dissipation of copper wires is solved. The distance between enterprise buildings is relevantly short, therefore, even though the attenuation of copper wires is bigger than optical fibers, the influence on the whole network is small. What’s more, the port energy consumption has lower degree of influence on building wiring compared with data center. Therefore, the factors to be considered in the building wiring system inclined to the total cost of the project. Compared with fiber optic network device, copper cable network device has an obvious advantage over the cost. Therefore, the copper twisted pair wiring system will remain the first choice in a fairly long period of time. If a portion of a twisted pair cable is damaged, it does not affect the entire network. Twisted pair cable can effectively restrain common mode interference. Even under the strong interference environment, it can transmit very strong image signals. One of the biggest advantages of copper cable is reliability. Network reliability is usually measured by Bit Error Rate (BER). The BER of copper cable is usually lower than the industry standard. When choosing UTPs, you should remind that the tighter the twisting, the higher the supported transmission rate and the greater the cost per foot. More twists per inch means more linear feet of copper wire used to make up a cable run, and more copper means more money. If you are considering to rewire your buildings, the twisted pair copper cable is a good choice for your short distance cable application. Fiberstore is a professional manufacturer specializes in producing telecommunication products. It always assures with masterly technology, excellent service and good reputation that won broad user reputably. This entry was posted in Copper Network and tagged copper cable, STP, Twisted pair, UTP on May 16, 2015 by Admin.